Soulmate Script is hand brushed typeface. Perfect for logos, name tag, handwritten quotes, product packaging, merchandise, social media and greeting cards. 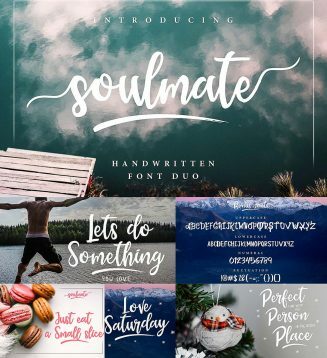 Tags: branding font, brush, calligraphy, feminine, hand lettering, script, soulmate, trendy.